Primary documents, reports, and legal filings on the PTO’s illegal treatment of independent inventors. 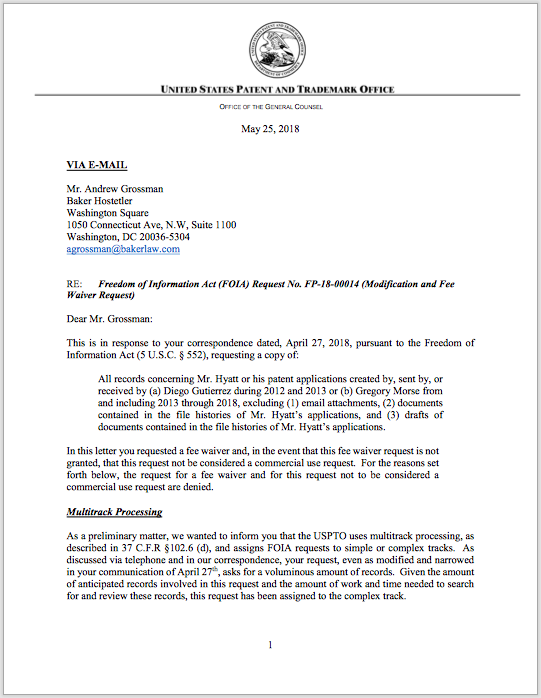 On May 25, 2018, the PTO demanded that inventor Gilbert P. Hyatt pay over $130,000 to begin an investigation into the PTO’s handling of his patent applications and its mistreatment of him. In response to his showing that the PTO has shielded serious misconduct from public disclosure and scrutiny, the agency denied that the public has any interest in how it treats applicants.